What kind of USB flash drives can meet the summer theme? Apparently slipper is a nice idea. 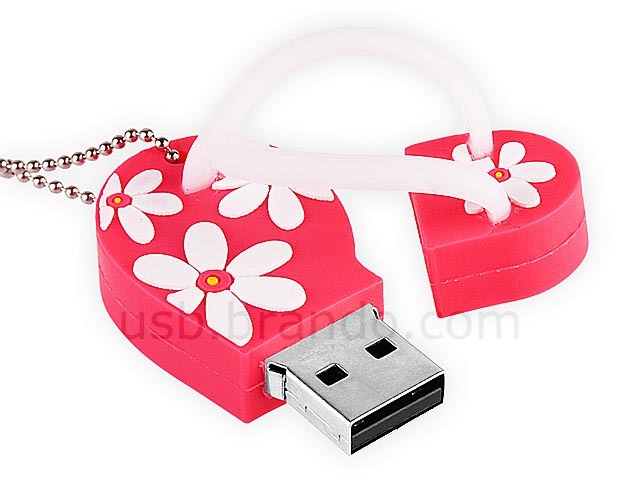 Of course, as a way to store your data, one slipper shaped USB flash drive should be enough. 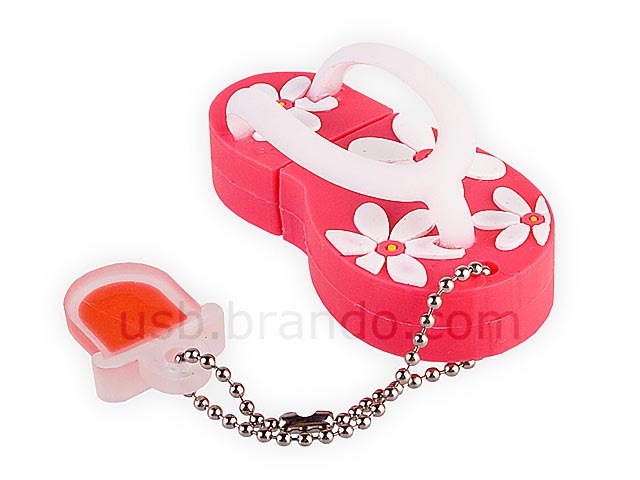 This is a cute USB flash drive shaped as a flip flop. 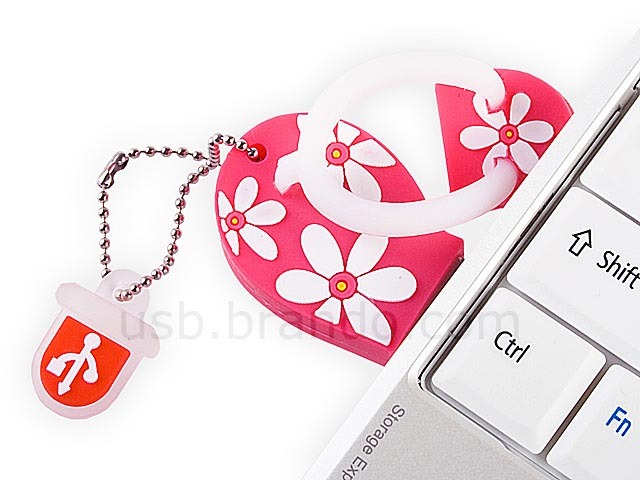 The entire USB drive measures approx 50 x 25 x 20mm and weights 13g. As we can see from the images, the miniature slipper features vibrant colors and cute appearance. Of course, you can put it on your foot, but the flash memory in its slipper-shaped casing can be used to store your various digital data. All you need to do is to remove the bottom half of the slipper and insert the exposed USB connector into USB port for data transmission. Apart from that, the USB drive is compatible with various operating systems like Windows 7/VISTA/XP, Linux, Mac OS X and more. 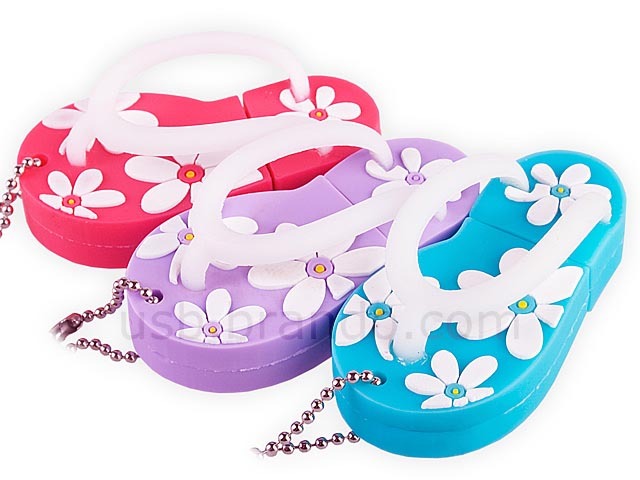 The slipper shaped USB flash drive is available in three colors and three storage capacities, including 2GB, 4GB and 8GB. Each one is priced at $16, $18 or $25 USD. If you’re interested, jump to Brando for more details. Additionally, if you need more options, you might like to check the R2-D2 USB drive, Swiss Army USB drive and more via “USB flash drive” for more options.